Here for the first time is a truly spiritual way of looking atfundraising as an opportunity to nurture current and prospectivedonors and facilitate their growth in faith. Growing Givers' Heartsexplores how development staff, executives, and board members fromacross the theological spectrum can make faith-buildingopportunities for donors their first priority; act on theirconfidence in God's abundance; draw from their theologicaltradition in their approach to fundraising; involve a vitalcross-section of staff in planning; and cultivate spirituallymature leadership. 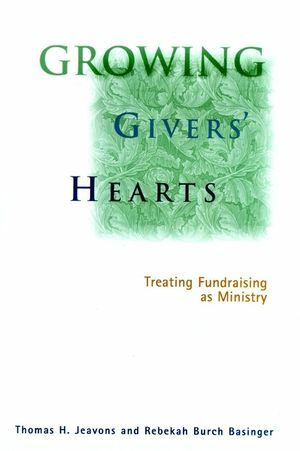 With this innovative approach, Growing Givers' Hearts empowersreaders to work in spiritually grounded, deeply creative, andprofessionally satisfying ways. 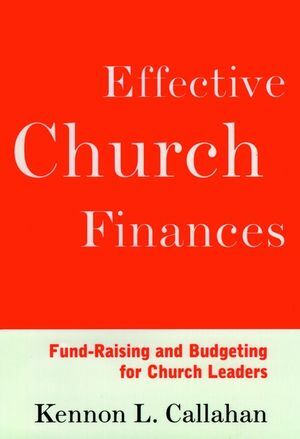 Fundraisers in any Christianorganization will find extraordinary insights in this importantguide. THOMAS H. JEAVONS H. is general secretary of Philadelphia Yearly Meeting of the Religious Society of FriAnds. He was founding director of the Center on Philanthropy and Nonprofit Leadership at Grand Valley State University and has served in staff and board positions with several nonprofit organizations. REBEKAH BURCH BASINGER is an indepAndent consultant in fundraising and stewardship education. She has served on the administrations of three church-related colleges and directed a Lilly Endowment-funded project on fundraising effectiveness for the Council for Christian Churches and Universities. Introduction: Fundraising and the Expression of Faith. Creating Resources for God's Work. What the Bible Says About Giving and Asking. A Brief History of Christian Fundraising. SIX ESSENTIAL CHARACTERISTICS OF FUNDRAISING AS A MINISTRY. A Holistic Perspective on `Kingdom Work'. Clarity About Core Theological Beliefs. Giving Donors Opportunities for Participation. Fundraising As an Invitation to Cooperate with God's Grace.